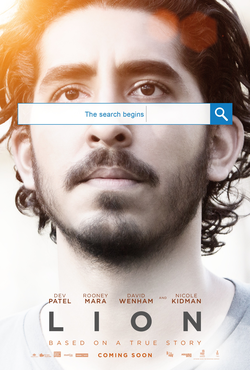 Lion, originally titled A Long Way Home, is an upcoming drama film directed by Garth Davis and written by Luke Davies, based on the non-fiction book A Long Way Home by Saroo Brierley. The film stars Dev Patel, Rooney Mara, David Wenham and Nicole Kidman. It also features actors from India including Nawazuddin Siddiqui, Pallavi Sharda, Deepti Naval, Priyanka Bose, Tannishtha Chatterjee etc. It is scheduled to be screened at the 2016 Toronto International Film Festival. The film will be released in the United States by on November 25, 2016. Plot- Saroo Brierley, who was lost from his family at the age of five and was adopted by an Australian family, finally finds his parents at the age of 25 using Google Earth. Check out the trailer of the film.